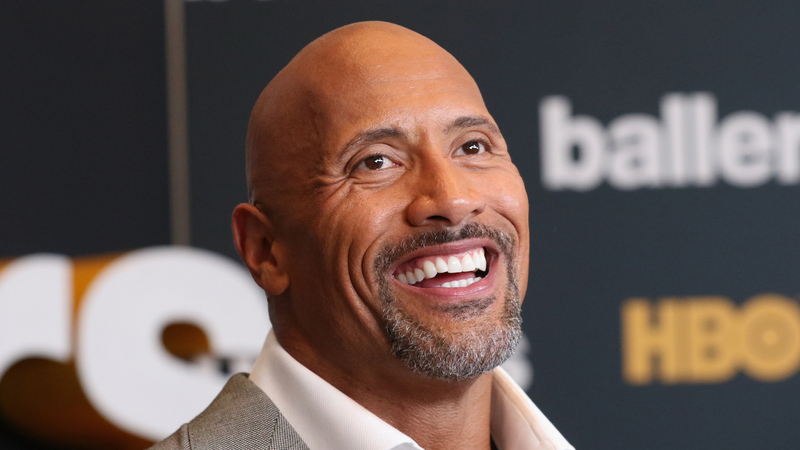 Former wrestler Dwayne “The Rock” Johnson definitely has hard body, but that doesn’t mean he lacks a soft spot. When it comes to his children, he is all heart, and in a recent Instagram post, Johnson revealed he loves hugging and holding his daughters… and will do so as long as he can. In the post, Johnson also acknowledged that his youngest is already apprehensive about Dad cuddles. “Baby Tiana Gia is already there with the ‘help me’ look on her face,” the father of three joked. But even when his kiddos don’t necessarily want him around, he will always want — and be there for — them. This isn’t the first time Johnson has shared a super sweet (and personal) parenting moment on social media. In June, the actor posted a photo of him feeding his longtime girlfriend, Lauren Hashian, while she breastfed, and in October, Johnson shared a snapshot of his freshly painted fingers while talking about how his daughter’s emergency manicure made him late for work: #papabearpriorities #sorrynotsorry. And we love it. So stay sweet, stay sensitive and stay present, Papa Rock.